As world oil production outstrips demand, China’s outlook darkens and prices plumb levels not seen since the Great Recession, energy-exporting countries around the world face a prolonged period of thinner revenues and deepening economic woes. The chill winds have now reached Norway, long regarded as the world’s most prudent manager of an economy heavily exposed to the ups and downs of commodity prices. Faced with the steepest decline in oil and gas spending in a decade and a half and the biggest job losses since the global financial meltdown, the centre-right Norwegian government is pledging to tap more of the country’s accumulated resource wealth in an effort to stanch the bleeding. The sudden decline in its fortunes has put a spotlight on Norway’s unusual handling of its gusher of resource cash over the years, parking 100 per cent of the government’s revenue from royalties and dividends in a fund that is barred from investing a krone in the domestic economy. It’s a vastly different approach compared with Alberta and other energy producers, which set little aside from their energy windfall and are now facing bleaker fiscal and economic conditions without much of a cushion to soften the blows of tumbling oil prices. The Alberta Heritage Savings Trust Fund, the province’s rainy-day umbrella, barely has enough capital to deal with a few scattered storms. Norway’s equivalent, which was partly modelled on Alberta’s when it was set up in the early 1990s, could handle a deluge of almost biblical proportions. 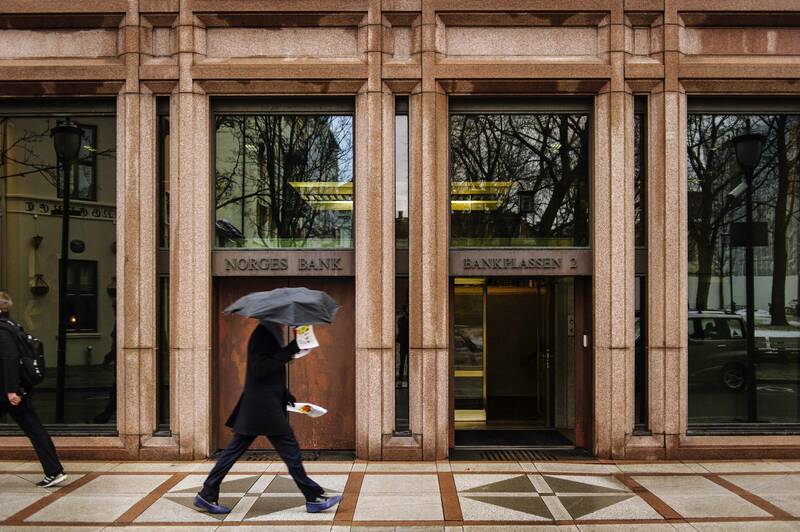 Consider the fortune amassed by Norway’s prosperity fund. Norway’s petroleum treasure chest holds assets totalling some seven trillion kroner ($1.1-trillion), making it the world’s largest sovereign wealth fund. It’s a potential shock absorber of a size and scope not available to any other energy producer outside the Arabian Peninsula. The fund has grown so huge that it now owns 1.3 per cent of the global equity market, covering more than 9,000 companies in 75 countries. At the end of 2014, its Canadian equity holdings alone totalled $12-billion (U.S.) spread across 270 companies. An equally diversified bond portfolio contains everything from more than $1-billion worth of Canadian government bonds, $100-million of Alberta paper and $38-million of Toronto municipal debentures to a smattering of Greek debt. Its only other investments are in real estate, mainly in major cities, amounting to 2.2 per cent of its assets. There was a time when Alberta policy makers faced the same central question as Norway’s. But they came up with radically different answers. “Do you want to have this benefit the generation that happens to be around while this is happening, or do you want to distribute the gains over multiple generations?” is the way the question is framed by Leo de Bever, the former head of Alberta Investment Management Corp., which manages $70-billion (Canadian) in Alberta assets, including the Heritage Fund. Norwegians are so determined to leave something behind when the oil and gas income dries up that any effort to withdraw more money from the Government Pension Fund Global – the awkward moniker given to their prosperity fund – than the rules allow would be akin to a Canadian politician trying to change the public health care system. Despite its name, the fund has no specific pension liabilities to meet. Luckiest rule change: Boost in equity allocation to 60 per cent in 2007 forced subsequent stock purchases at market bottoms. China play: At $2.5-billion (U.S.), fund has largest quota for purchase of mainland Chinese stocks of any institutional investor. Still, if the industry’s troubles mount, job cuts deepen and the damage sends the sputtering Norwegian economy into reverse gear, it could test that long-standing consensus. Under current rules, the government can withdraw no more than 4 per cent in any given year, which not coincidentally matches the fund’s expected average annual real return. In her first budget last October, Norwegian Prime Minister Erna Solberg said the government would transfer 3 per cent of the value of the oil fund into its budget this year – up from 2.8 per cent in 2014 – to help cover the costs of tax cuts designed to spur growth. Now, as the official forecast of 1.3 per cent gross domestic product expansion this year and 2 per cent next year (calculated without oil and gas revenues) looks shaky, there are rumblings that the takeout could go higher. Right-leaning politicians in Norway have argued that the withdrawal cap should be boosted to 5 per cent to put more cash to work in the domestic economy today, while others say it should be lowered to ensure there is enough capital to meet future spending needs. All operate on the thesis that the oil will stop flowing in the next couple of decades. In the fund’s early years, when oil prices were relatively low and the fund relatively small, the Oslo government could get its hands on more cash during downturns, provided it took less than the target level when the economy was expanding. “The wiggle room actually didn’t work,” Mr. Gerard said. “Every year, they said we were in a recession” and spent as much as 6 per cent. But then policy makers became “much more religious” about sticking to the target, he said. And today, it is a matter of Norwegian national pride. In the midst of their own worst economic slump in years, Albertans are tired of hearing how much better Norway has been at managing its oil riches. They point to the significant differences between the two jurisdictions, not least of which is the fact Alberta is a province without complete control over its revenues. Then, there are the vastly higher costs of oil sands development, which required more public investment, as well as the political decision in Alberta to use part of the oil wealth to reduce taxes and spur investment – something Norway is only getting around to now. Indeed, the Heritage Fund has strayed a long way from its original intent. It was conceived in the early 1970s during then Progressive Conservative premier Peter Lougheed’s first term in office. He ran for re-election in 1975 on a pledge to stash a share of Alberta’s resource wealth in an emergency kitty, hoping to convert what was believed to be a fleeting oil boom into a lasting legacy. Initially, the idea was to save as much as 30 per cent of energy revenues to start with and use a portion of the fund as an investment vehicle for diversifying the provincial economy. But over time, successive Conservative governments propped up dubious ventures in sectors ranging from forestry to aviation and food processing. Contributions ceased entirely when oil prices tanked in the mid-1980s, and the Heritage Fund has been frozen in time ever since. The government now pockets most of its oil revenue, using the bulk of it for general expenses. Last year, the fund was valued at $17.9-billion. It generated a healthy return of 12.5 per cent, amounting to about $1.7-billion. Of that, $1.5-billion was siphoned into the government’s general revenues, with $210-million saved. Since its inception, income transfers to government have totalled $38.2-billion. The result has been a damaging pro-cyclical fiscal policy: hefty spending in good years and deep cuts during lean times. The province famously has no sales tax – even in the current downturn, it’s a verboten concept – but is routinely exposed to volatile swings in commodity prices. For all their frustration with the way the resource wealth has been managed, Albertans have shown an aversion toward beefing up the Heritage Fund. In May, they rejected then Conservative premier Jim Prentice’s plan to shrink the province’s dependence on energy revenues by 50 per cent while doubling the fund’s size to more than $30-billion within a decade. Mr. Prentice lost a snap election to the New Democrats led by Rachel Notley, who inherited an economy in freefall as a result of skidding oil prices. The NDP is expected to release a budget this fall showing the full extent of oil’s steep decline. Finance Minister Joe Ceci insists the deficit this year will be in the range of $5.4-billion, even as cutbacks in the energy sector intensify and world and U.S. crude prices remain at less than half the levels of a year ago. This week, outages at a large refinery in the U.S. Midwest and pipeline snarls pushed prices for Western Canada Select oil sands crude below $30 a barrel – well under provincial forecasts. U.S. West Texas Intermediate oil has dropped 30 per cent since early June. The darkening outlook could add as much as $1-billion to the provincial deficit this year, said Robert Kavcic, senior economist at Bank of Montreal. The bank expects the provincial economy to contract by 1 per cent this year, before rebounding to post moderate growth of 1.9 per cent in 2016. The Prentice budget had forecast energy revenue this year of just $2.9-billion, down 67 per cent from the year before, based on a WTI oil price of $55 (U.S.). The NDP has yet to detail plans for the Heritage Fund, but it’s clear the party faces stark choices over how to divvy up a shrinking pie – despite raising corporate and personal income taxes earlier this year. Meanwhile, the Norwegian government, which gets enough cash from the oil fund to cover about 20 per cent of its annual budget needs in a typical year, continues to run surpluses and has no external debt. “Imagine if Alberta had followed a similar formula, even sticking to [Mr. Lougheed’s target of] 30 per cent of oil royalties for the fund,” said Greg Poelzer, executive chair of the International Centre for Northern Governance and Development at the University of Saskatchewan and a harsh critic of Alberta oil investment policies. When the Norwegians were setting up their own heritage fund, they had similar concerns to Alberta policy makers, said Mr. Poelzer, who has studied various resource savings schemes in Canada, the U.S. and Norway. Would the electorate support taking oil revenues and investing them outside Norway, rather than putting them to work in the domestic economy? “When confronted with such a choice, Norwegian politicians thought the electorate might not be supportive of a plan that deferred investment,” he said. But they were wrong. Trond Grande wants to dispel a widely held notion that Norway’s influential public investment vehicle is an activist fund. Sure, the trillion-dollar Government Pension Fund Global pushes for more transparency, greater accountability and other such classic investor-friendly reforms as the elimination of dual-class shares, the separation of board chair and chief executive officer positions and more female directors. It also shuns individual companies and entire sectors – including tobacco peddlers, palm oil producers, nuclear weapons makers and the likes of Wal-Mart Corp., Barrick Gold Corp. and Potash Corp. of Saskatchewan Inc. – over environmental, ethical or human rights concerns. Such decisions are based on recommendations by an independent ethics council to the board of the central bank, which oversees the fund. 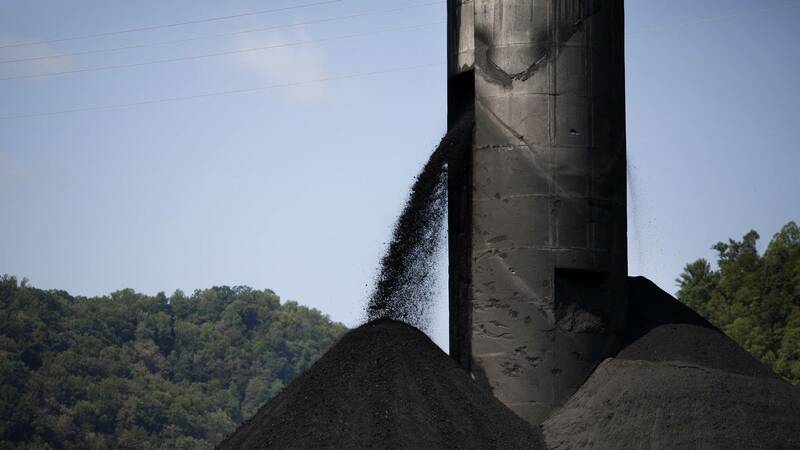 By next year, following a directive from parliament, the fund will also be required to pull out of any companies that derive at least 30 per cent of their business from coal. By one estimate, it will have to divest more than $8-billion worth of assets as a result. But you won’t see it involved in any messy battles spearheaded by hedge fund investors demanding major corporate shakeups, fatter dividends or stock buybacks to goose equity prices. Short-term thinking doesn’t interest this most long-term of investors. We are speaking in his spacious but utilitarian office in a modern seven-storey building on a quiet square near Oslo’s medieval fortress. A high-security entrance, including handleless steel doors, signals that this is also the headquarters of the parent central bank. The fund votes at every shareholder meeting, which adds up to a lot of ballots when you own stock in more than 9,000 companies. It discloses all of its votes the day they are cast and this year has started revealing its intentions in advance in a handful of cases to help marshal support from other shareholders. The fund has a cap on individual equity stakes of 10 per cent, but tends to acquire far less. A glance at the 270 Canadian companies in its portfolio shows individual holdings average less than 1 per cent. The portfolio includes such stalwarts as Royal Bank of Canada and other banks, Imperial Oil, Molson Coors, Power Corp. and Reitmans. How do such relatively small investments play into its drive for corporate reforms? Well, in some large, widely held European companies, where the fund is slightly overweight, owning even 1.5 or 2 per cent makes the Norwegians one of the bigger shareholders.